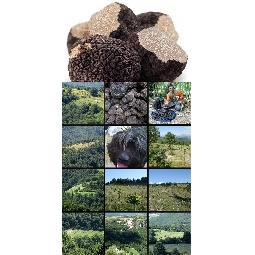 Fresh Uncinato Truffle - Dominici Truffles - 1st choice - 250 gr. Fresh Uncinato Truffle - Dominici Truffles - 2st choice - 250 gr. Fresh Uncinato Truffle - Dominici Truffles - 1st choice - 100 gr. SHIPPING ALL TUESDAY FOR ORDERS RECEIVED BY FRIDAY EVENING. The black truffle to be properly valued and tasted must follow a procedure, it must be grated with a simple cheese grater, it should be put in a pan with plenty of oil, little salt, pepper and optional, a clove of garlic, should be done warm flame low for 30/40 seconds, then it is added to the dish you want to cook that is Pasta with Truffle, Crouton with Truffle, Eggs in a pan with truffles etc. etc.